Francisco Zuñiga was born in San Jose, Costa Rica. His artistic talents were nurtured at an early age as he worked alongside his father, a sculptor of religious figures. Zuñiga then took up formal training at the School of Fine Arts in San Jose. 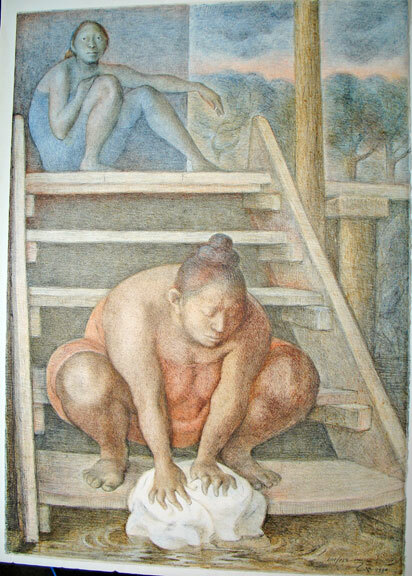 Continuing to work all the while with his father, Zuñiga became an accomplished artist in wood and stone, as well as in drawing and engraving, by the age of twenty-one. Seeking further inspiration, Zuñiga moved to Mexico City in 1936. There began his lifelong fascination with the native peoples of Lain America. In Mexico he completed his studies through courses at La Esmeralda and was elected to full professorship there in 1938, teaching classes until 1970. Much of Zuñiga’s work during the 1950’s focused on monumental reliefs and other massive public works, many of which incorporated elements of Mayan composition. Toward the end of the decade, he began to pursue his personal vision and to develop his portrayal of the Mexican peasant. 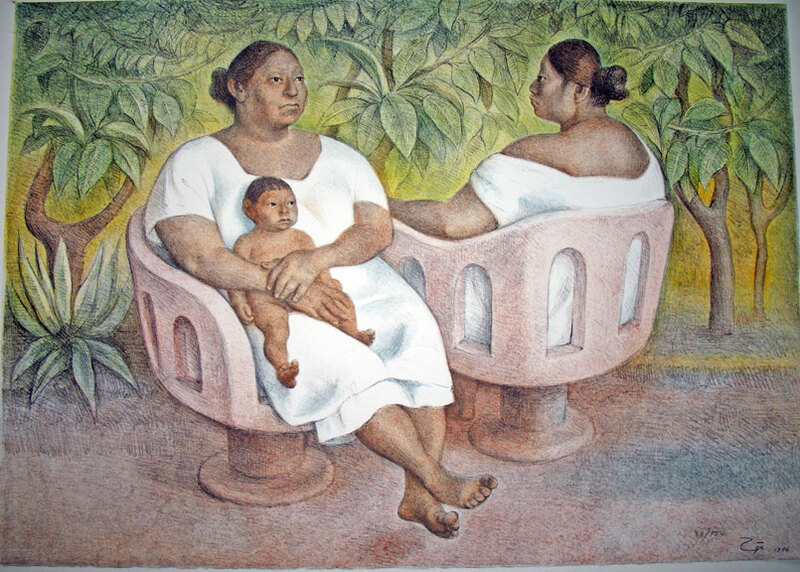 Although there have been some important exceptions in his long career, Zuñiga has become primarily identified with his images of humble Mexican women and the theme of maternity. Zuñiga is recognized as one of the world’s foremost sculptors, though he is also acclaimed for his paintings and drawings. His work is featured in many museums as well as in public and private collections throughout the world, including Mexico, the United States, Europe, Central and South America. Zuñiga has won numerous awards and prizes for his sculpture, paintings, and works on paper.